Madhav Metal is one of the leading Brass Electrical Pin manufacturer, supplier, and exporter in India. We offer electrical pin made by special raw material composition as per customer requirement, which exhibits its superior finish and strength due to its fine raw material. These electrical parts are safe and sturdy as international standards are followed by us during the production process. Our products are appreciated by international clients for their reliability and effectiveness. We design and develop these parts as per the customized requirement. Our Electrical Brass Parts are manufactured in a well-established manner and that undergo with a strict quality check before delivering a final product to the client. We can produce them in bulk quantity with different size and specification given by a client. We also offer a coat of these parts as per customer requirement. We have delivered a wide range of brass electrical pin to our domestic as well as global customers. 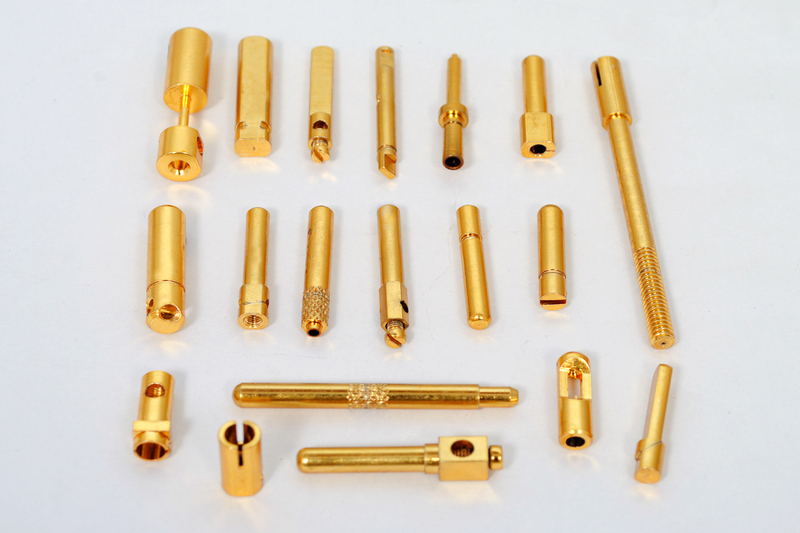 Our organization holds expertise in fabricating superior quality Brass Electrical Pins widely applicable for electrical plugs, electrical sockets, UK type plug pin, electrical 15-amp plug pins, and industrial plug. We can also manufacture brass male pins and female pins, earth pins, live pins and neutral pins on client’s demand. With features like efficiency, durability and corrosion resistance our products are highly appreciated and are in great demand. The fine quality material used for manufacturing includes free cutting brass is 319 type (1), free cutting brass as per BS 249 type (1), high-grade free cutting brass and any special brass material composition as per customer’s requirement. Threads for this product can be chosen ISO metric (mm threads), BSW threads(inches), BA threads, UNC threads, UNF threads, and any threads as per client’s specification. 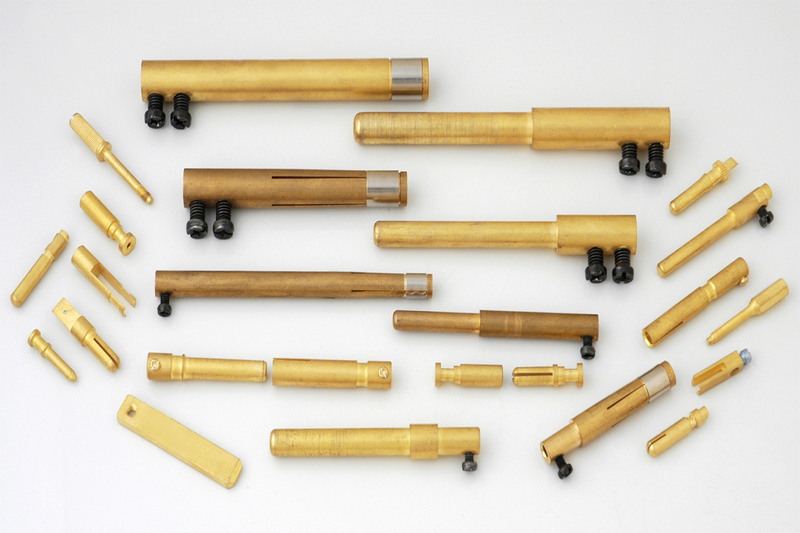 Our brass electrical pins are available in diverse lengths, sizes, and diameters. They are manufactured in a range from 5 amps to 25 amps as per client’s requirement. To mold electrical plug pins and socket pins we use nylon Teflon and different plastics. These products have a finish as natural, Nickel Plated, Tin Plated or any coating as per customer's requirement.